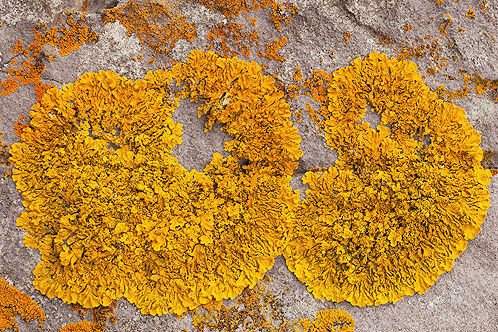 Xanthoria Parietina is a foliose ( leafy ) , lichen . The upper surface is some shade of orange , yellow , found in sunny, exposed places that are rich in nitrogen . On sea cliffs the seabirds provide the nitrogen , especially on bird perching rocks.